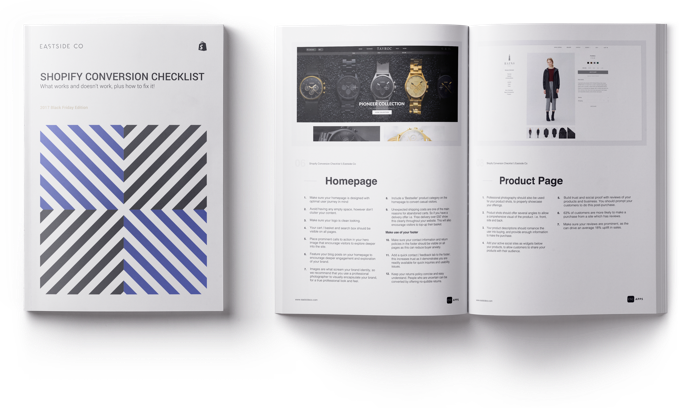 Download our Shopify Conversion Checklist Now! Download the latest version of our checklist today and get practical CRO tips and tactics to turn more of your visitors into customers. Whether you're a seasoned ecommerce professional or a startup entrepreneur, you'll find lots of useful tips from our experts to help you convert more visits into sales, and more sales into bigger revenues.